[toc]A healthy and lustrous hair adds to the personality of both men and women. People all over the globe yearn for good hair. Especially females love to grow their hair long. Unfortunately due to certain factors like excessive chemicals present in hair products, pollution, other environmental factors and internal factors, the dream to grown hair long remains unfulfilled by many. With certain home remedies, you can attain a good texture of your hair. A healthy hair grows faster. 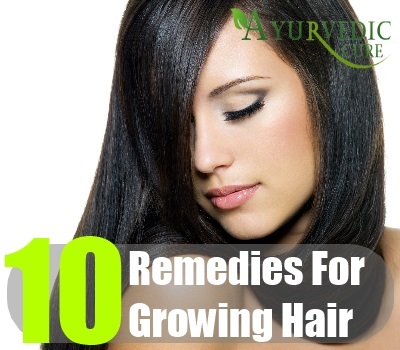 Read on to find easy and workable home remedies for fast growth of hair. Oil massage does wonders on your hair. 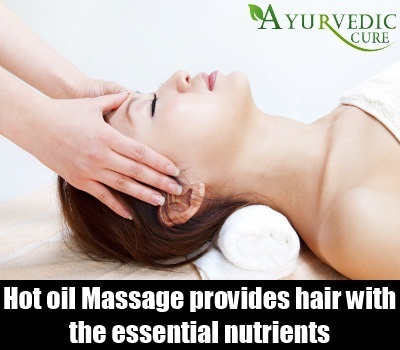 And especially hot oil massage is very good as hot oil penetrates better and faster into the scalp. Hot oil massage provides hair with the essential nutrients that it needs for a healthy growth. A circular massaging movement will ensure that the oil reaches roots of hair through skin of scalp. Take half a cup of oil and warm it. Now with the help of a cotton ball, apply oil on your hair. You can also make many partitions in the hair for better application of oil. After oil application, massage in circular movements. You will feel relaxed. A weekly hot oil massage will help in keeping your hair healthy and shiny. A healthy hair will grow faster. Egg white contains protein which is very good for the growth of hair as hair is also made up of protein. Egg white also contains traces of iron and zinc which are good for hair. 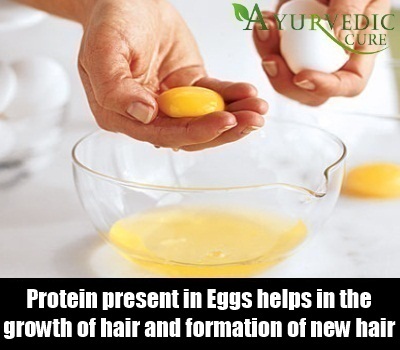 Protein present in eggs not only helps in the growth of hair but also formation of new hair. If you have a shoulder length hair, take out egg white from an egg. Mix a spoon of thick curd and a spoon of olive oil to it. Apply this mask on hair. Wash after an hour. You will find an immediate shine in your hair. Your hair will also feel softer. This pack will aid in formation and growth of hair. 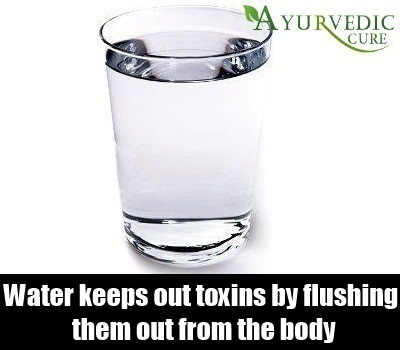 Water keeps out toxins by flushing them out from the body. Also, it keeps the body and hair hydrated. A hydrated hair is less likely to break. Dry hair is more susceptible to breakage and damage. So, you should drink lots of water to keep your hair healthy and strong. Drinking 8-10 glasses of water on a daily basis will ensure that your hair remains strong and hydrated. Onion juice aids in fast growth of hair. Juice of onion contains sulphur. Sulphur increases blood circulation thereby providing nourishment to the roots of hair. The juice also contains anti bacterial property which prevents any bacterial or fungal growth on the scalp. It opens the pores of hair follicles that get blocked due to either product build up or dirt. Just take a medium sized red onion and grate it. Squeeze out the juice from the grated onion. Now, apply this juice on the scalp and hair roots. Let the juice sit for half an hour after which wash with a mild shampoo. Smell of onion will fade away once hair dries off. You can apply onion juice twice or thrice a week for a better result. You must be wondering if potato can really help in hair growth. Yes, they have proved effective in growing hair faster. Well, people suffering from receding hair line have used potato juice to aid hair growth. But raw potato juice is not used alone. For an effective result, take out juice from 2 large sized potatoes and mix it with an egg and 2 spoons of honey. 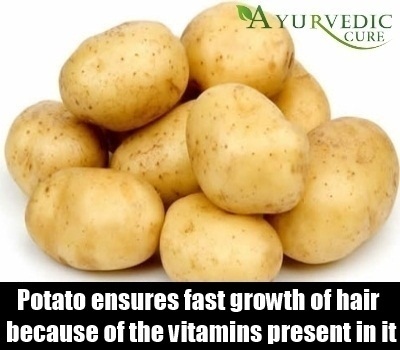 This pack ensures fast growth of hair as potato contains vitamin. Apply the pack for an hour and wash afterwards with a mild shampoo. You can apply this pack once in a week. More frequent application might turn your hair oily as egg yolk is also used and it contains fat. We have talked about protein application. But your hair will be healthier internally only if you consume a healthy diet containing lots of protein and vitamins. You will find a huge difference in the texture and look of your hair once you start consuming a protein rich diet. Foods like eggs, beans, soybeans, fish and poultry are good sources of protein. 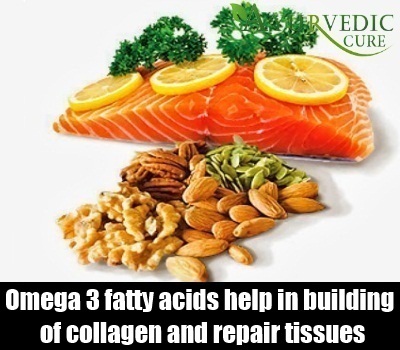 Apart from that consume more of omega 3 fatty acids which help in building of collagen and repair tissues. It also provides elasticity to the hair. Omega 3 fatty acids are present in walnut, flax seeds and fishes. It is an old and effective remedy for poor hair growth. Take 3-4 spoons of fenugreek seeds and soak overnight. Grind the seeds to make a paste. Apply this paste on hair. Also do not discard the water. 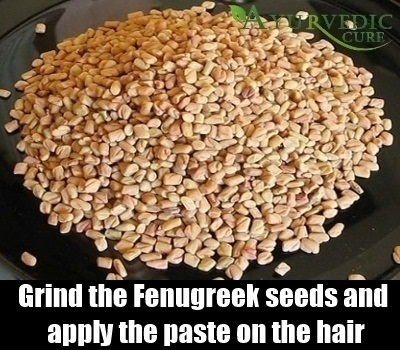 Warm the fenugreek soaked water and use it for rinsing hair after an hour. Fenugreek paste will get easily removed with warm water. A regular application will help in fast growth of hair. 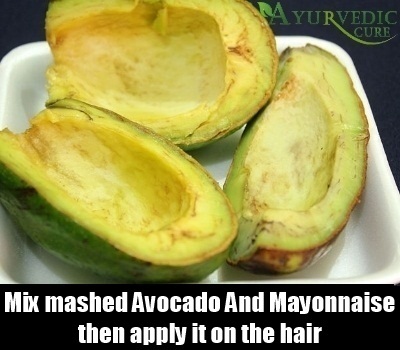 Avocado and mayonnaise are very good for hair. Mayonnaise contains protein which aid in hair growth and avocado keeps hair moisturized and shiny. Together they provide nourishment to the hair. Take an over ripened avocado and mash it. To the mashed avocado, add 2 big spoons of mayonnaise. Mix them well and apply on hair. Cover head with a shower cap. After an hour, rinse with plain water. Do not use hot water as hot water will cook the egg proteins making it difficult to remove eggs from hair. Apart from this, go for a regular trimming of hair every 3 months. As hair grows, its ends start getting dead and they develop split ends. So it is essential that hair remains devoid of split ends. 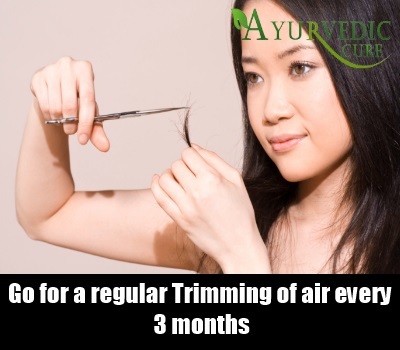 Trim one fourth of an inch every 3 months. Your hair will remain thick and it will also grow faster. As tight hair styles or tight hair bands pull the roots of hair, it gets more susceptible to breakage. Do not tie your hair tight. 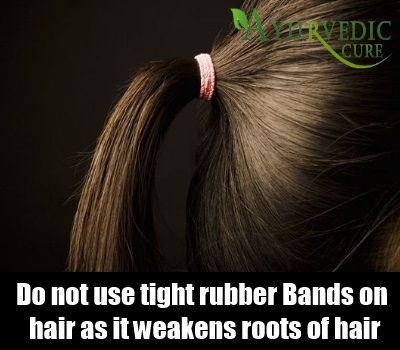 Also do not use tight rubber bands on your hair as it weakens roots of hair. Go for loose hair styles and loose bands.